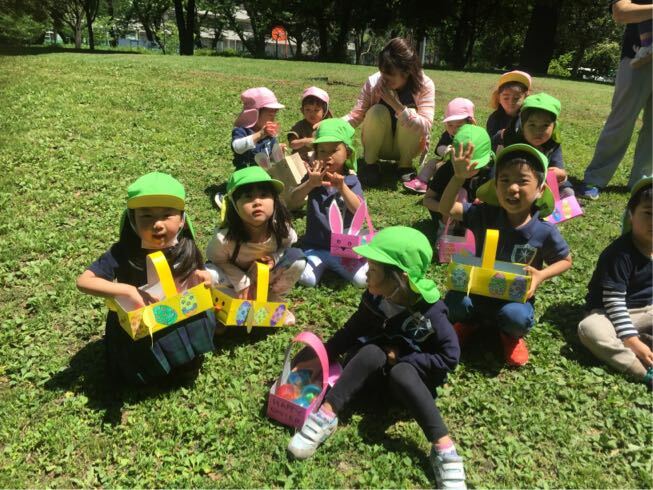 The theme for April was Easter. 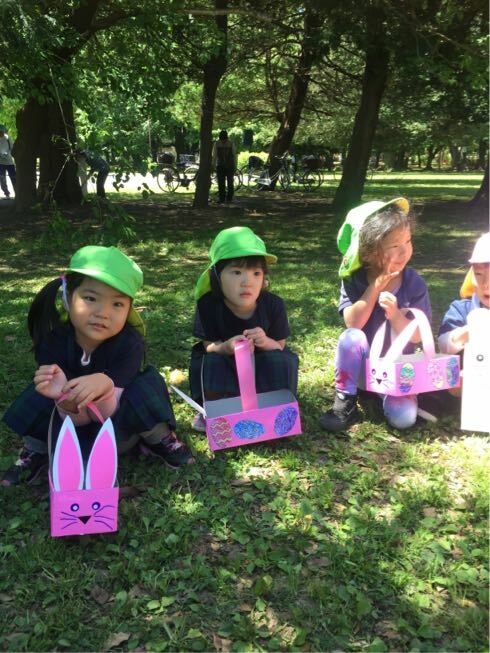 Last week,we celebrated Easter. 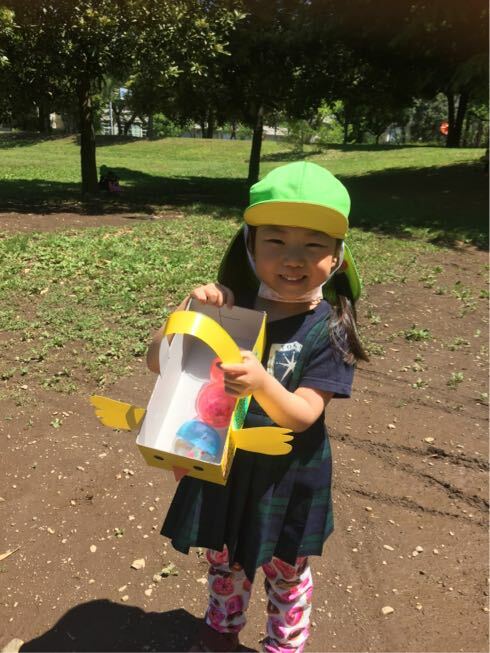 We made easter baskets out of the tissue boxes and decorated it. 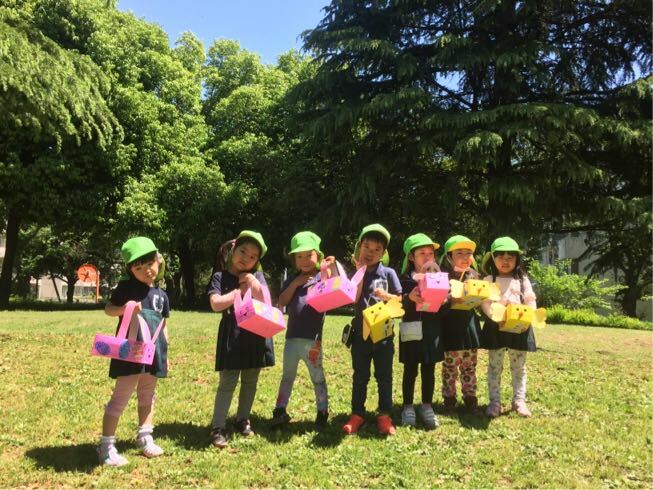 We enjoyed egg-hunting in the Hikarigaoka Park. 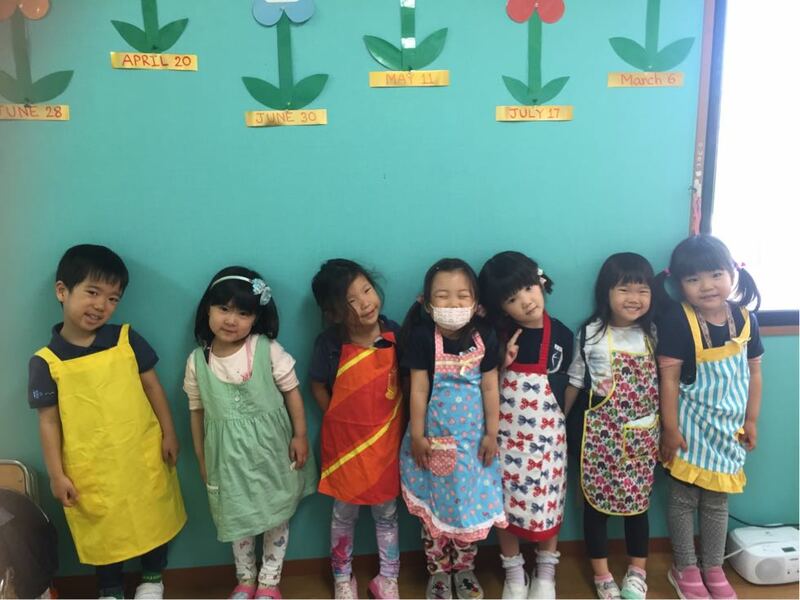 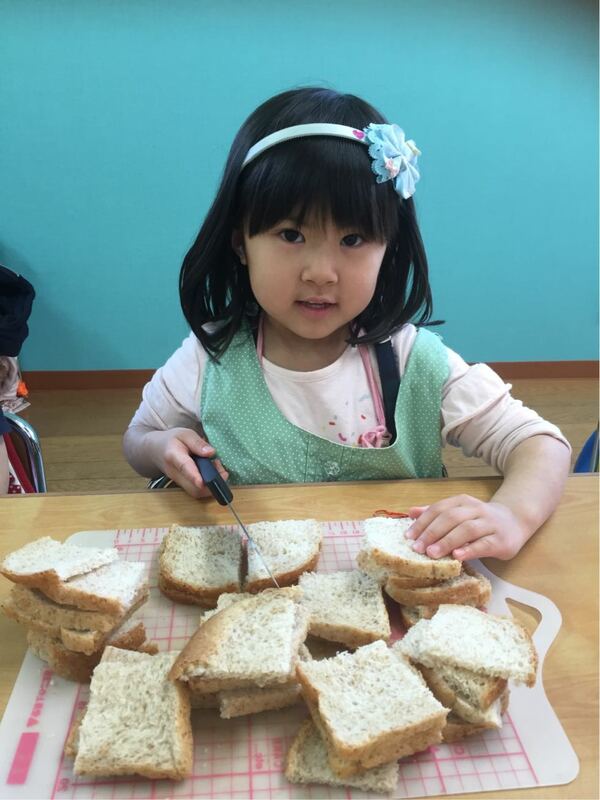 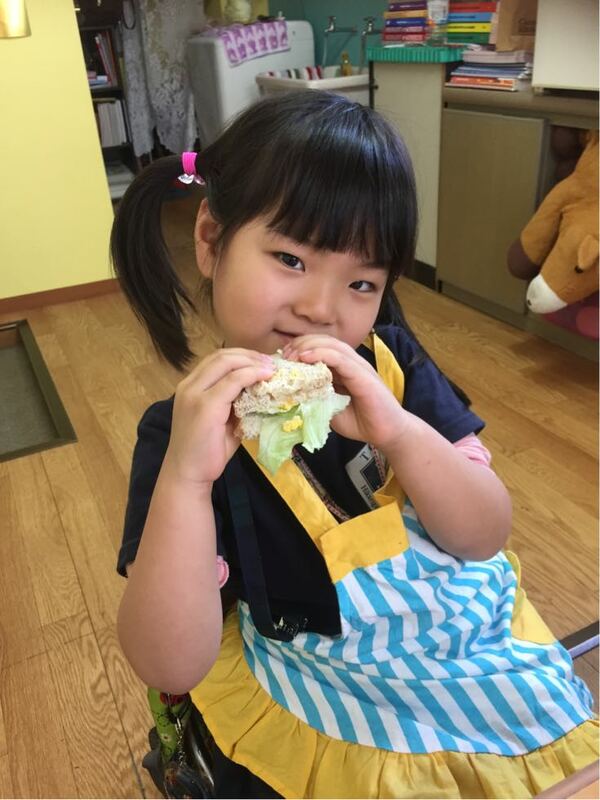 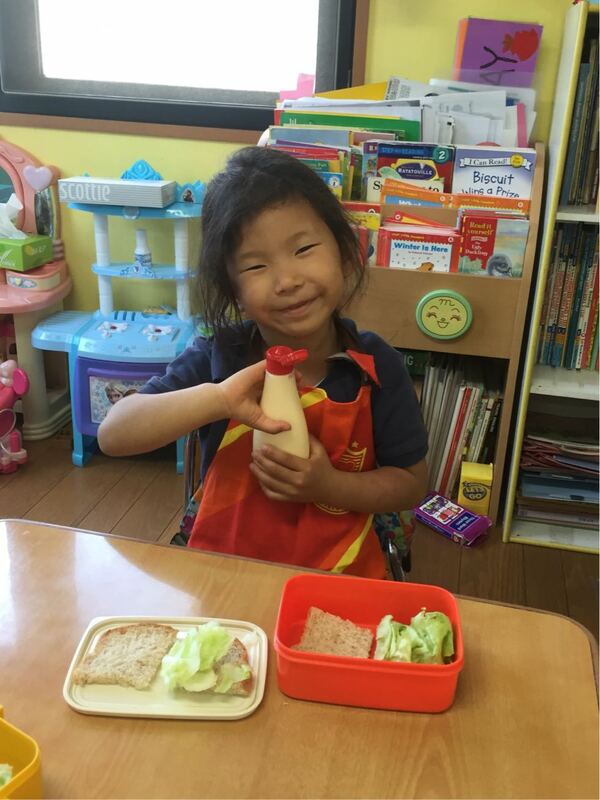 We also made egg sandwiches in the Melon Class.